Go to Mt Buller or Thredbo. You’d carry in your bean bags up the mountain, if you could … you know they are snow-proof too. Stop being lame in the rain, actually go to Winter Sports events or organize one. It’s time to go Ski, Ice Skate or Rugby and Football games. Or be a manager of your own small soccer team- neighborhood kids will love you! Schedule tournaments for the team and organize gathering for soccer parents with some Rock and Roll themed party with cool waterproof bean bags. Sports night in Australia can be epic occasions to get together with the crew. With the World Cup Cricket, AFL and NRL season’s upon us, why not hire designer bean bags for your next footy function or sports watching nights? What is better than getting together a large crew, lots of beers, a huge screen projector, a good old aussie BBQ and heaps of luxurious Ambient Lounge bean bags host the sports night of the year. You will be surprised how economical, easy and awesome it can be. Whether you are wanting to hire for a Perth backyard, a Sydney rooftop or a Melbourne sports ground we will be able to accommodate your needs. All you need to do is contact us, sort our a deposit and we will organize the rest. Just kick back and enjoy the game with your mates in amazing comfort…. and don’t worry too much, our bean bags are waterproof (and beerproof) so before you return them to us, you can clean them off easily. The March 29th World Cup Cricket final at the MCG is coming up so if you need to book – let us know quickly. 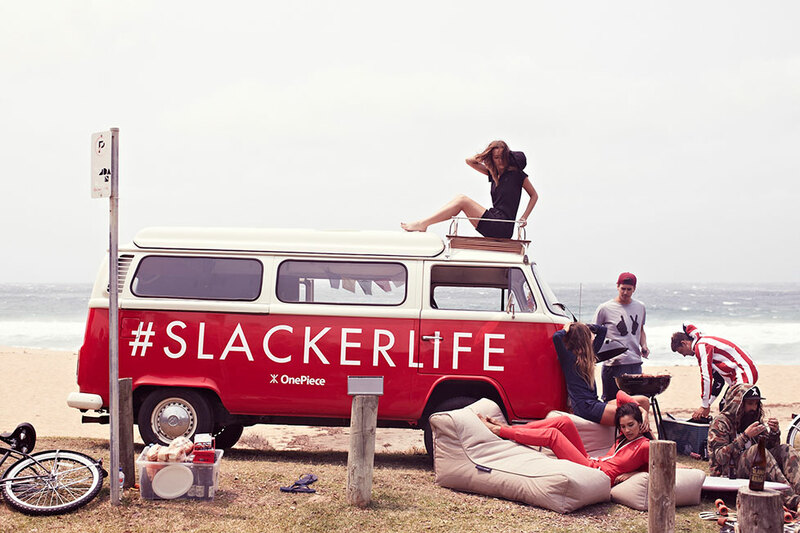 Norweigen “slackerlife” clothing company One Piece know how to do cool. The original inventors of the ‘Onesie’ they make casual designer clothing that hit a bullseye in the comfort zone and the sweet spot of the cool crowd. So when they organised their VIP ares for the Vans Bowl-a-Rama – they need like minded partners who know how to look good, feel good and know how to party with them. Step in Ambient Lounge bean bag hire with some crowd pleasing longers that helped make an amazing day absolutely epic. Called “undeniably the best skate jam of the year” by Red Bull, packed out crowds headed down to the sun drenched Bondi Beach for an awesome day of extreme sports and competition. Veteran master Tony Hawke took out the “old school” event and a pair of Brazillians Pedro Barros and Alex Sorgente hit the podium for first and second in the event. There were some gravity defying moves goin’ down and the One Piece crew were loungin; around and soaking it up all day. Talk about work hard – play harder! There wasn’t too much corporate garble goin’ on amongst that crew. Just bundles of fun. What a day (and night) it was with the finale being some guy running through the crowd at some stage in his “birthday suit”… shenanigans you would expect from an extreme crew fuelled up with vodka & red bull. Thanks to all who made the event truly epic and was nice to make a lotta new friends down there. We were happy to help out with the bean bag rentals … our pleasure…. See you all next year!